Many people have started their own business within their homes, but what about those people that don’t think they have the skills to start or run a home based business? Perhaps they don’t have the desire to work at home, it’s even possible that they want to open a franchise and have the training and support that comes along with franchise ownership. Or maybe they enjoyed working within a fast food chain, restaurant, or retail store and want to own one of these places for themselves. 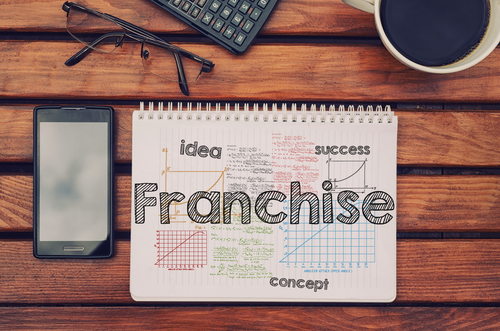 There are a few things to know when you are considering franchise ownership, the most important of which is determining how much capital will be needed to open and support your business until it becomes profitable and begins paying for itself. 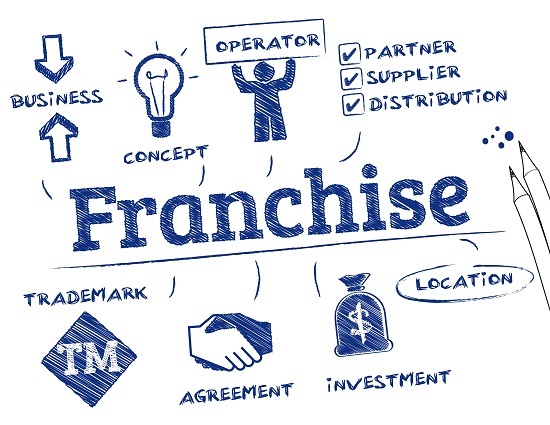 The amount of capital needed is not simply how much money is needed to obtain the franchise rights, but also must include a realistic amount of working capital that will cover all expenses not covered by income for up to 5 years. While your business may be showing profits within the first 2-3 years, having that additional capital can come in handy when building or equipment repairs are needed, updating your location, or even purchasing your own building rather than renting business space. Running out of working capital is the leading cause of new business failures. The cost of finding a location: This may include the fees associated with rental agents, the cost of market research that include things such as demographics, competition, and traffic studies. Professional Fees: Architectural, Engineering, Interior and Exterior Design fees which may be applicable whether you are building a new building or remodeling an existing location. Security Deposits: The first people to request security deposits are likely to be the location landlord (or property management company) and utility companies. Other Professional Fees: These may include fees for Lawyers, Accountants, and Contractors in order to negotiate, acquire and complete any of the following needs: zoning issues, permits, signage, furniture, décor, landscaping, etc. *Note: Franchisors will supply a Financial Disclosure Document (FDD) that you will use as a guide to calculating the capital needed. The figures provided will be based on an average but may not be accurate for your location. You cannot hold the franchisor responsible for not doing your homework! Now that you’ve got your location capital computed, you’ll need to look at the capital needed to prepare for your location opening. This includes everything needed to meet the standards of supply and demand for your products and insuring your business and its assets against damage, theft, and employee or consumer injury. Computer Equipment: Computer equipment has become a necessary part of any business these days, the purchase of hardware required to perform the necessary tasks can range in price from as little as a couple hundred dollars to several thousand dollars depending on your business needs. Point of Sales (POS) System: A POS System is imperative for running your business (regardless of business size), they can be pre-packaged software systems to a custom built program designed specifically for your business. Point of Sale systems are used to track sales and inventory, create reports, and more. In a restaurant environment, they also pass orders from the front of the house to the kitchen, bar, or other areas of service from the time a customer enters the restaurant to the time they leave. Some systems also allow you to process orders or deliveries via smartphone technology.You might even wish to track the length of time the average customer spends in your restaurant, this may not be part of a bundled POS software system and might require the expertise of a professional to create the ability to perform this task. In the event that you need to hire a programmer, you must also be prepared to accommodate the cost of this service, the current industry rate is a minimum fee of $25-50 per hour and can take as little as a few hours or as many as a few weeks to complete based on your requirements. GPS & Tracking System: If your business requires employees to deliver goods or services to your customers, you may provide company vehicles or require your employees to drive their own vehicle. As a means of providing the customer with the best possible service in the least amount of time, you might want to utilize GPS devices that can also allow you to track your employee’s location, driving speed, daily or weekly routes and more. These abilities can assist you in creating better routing or assigning additional delivery locations to a specific employee. Insurance: You will want to obtain insurance on your property and assets along with workman’s compensation insurance, personal injury insurance, and other insurance requirements based on your franchise agreement or any federal, state, or local laws for businesses. You may also want to consider coverage for flooding or other natural disasters that are not covered in basic policy plans. *Note Be prepared to submit your first year’s premiums in full at the time of insurance acquisition. Opening Inventory & Other Supplies: You will need to purchase all of the materials and supplies necessary to make and sell your products, these might include raw materials, paper products, health and sanitation supplies, utensils, chemicals and cleaning products, equipment for use in your office and consumer areas, maintenance tools, and more. Pre-Opening Labor Costs: It’s a common mistake to think that you don’t incur Labor Costs until your business opens or you have grown enough to need additional employees, however it’s important to recognize that you will need to hire and train employees of restaurant or retail chain stores before you open the doors of your location. Training: Available at headquarters: 1 week. At local McDonald’s restaurant: 12-24 months. You don’t have to go broke to begin a business though, there are startup business opportunities that you can invest in for under $10,000 that you can run from home or mobile concepts. Some businesses simply require a computer, website, merchant accounts with eBay, Amazon or PayPal, reseller accounts or memberships to professional organizations or other services. You might want to begin a Travel Agency, the overhead required can be minimal in the beginning and grow with your business as you grow and expand your services, move into a rented location, or form partnerships with travel services such as hotels, airlines, cruise ships, railway systems, or vehicle rentals. There are a host of other opportunities available in a wide range of industries, you can surely find something in the industry of your preference, or begin your own brand from scratch. You can begin your search online, or by talking to other business owners of the business type you’d like to start. Regardless of the business type, it is wise to network and talk to other business owners as a means of determining successful approaches, ideas and procedures that have underperformed or failed miserably, cost saving ideas, policies and procedures, marketing campaigns, advertising strategies, and more so that your business can be a success. There is however no right way or wrong way to run your business, every business owner will make some mistakes, and learn from them as well. Professional networking can assist you in avoiding huge pitfalls, creating a greater amount of cash flow in a shorter period of time, and even finding a mentor from within your industry to turn to for advice that is useable now and in the foreseeable future. The choice of how you begin your business is all yours based on what makes you feel most comfortable or most likely to succeed, in either means of beginning this journey, I wish you the best of luck! What are your experiences with franchises? We’d love to hear your comments below!